Alex graduated with a Bachelor of Science degree in Human Biology from UC San Diego. 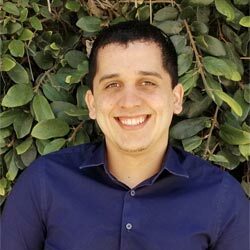 Before joining the TFALC Team, he worked as a tutor for students in grades K-12 at Cambridge Learning Center and volunteered as a teacher assistant at Preuss School UCSD. As an educational coach, Alex enjoys having the privilege to work closely with students to provide personalized help in order to improve his students’ learning skills and ultimately support them in reaching their academic goals. In his free time, Alex enjoys playing soccer, traveling to different places around the world, and spending time with his loved ones.